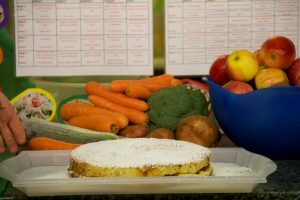 We have a fully qualified and experienced nursery Chef who plans nutritious meals. We adapt our menu to suit your child’s needs and gradually introduce our main menus as and when your child is ready to move on from weaning stages one and two. 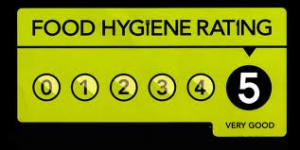 We have been awarded a VERY GOOD rating for our food hygiene by the local authority. Our food is freshly prepared daily and we are able to cater for all dietary needs. We regularly review and change our menus to ensure they are always varied. Children are encouraged to sample a variety of foods and cultural specialities. 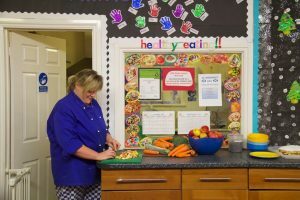 We believe that meal times should be a happy and relaxed time where children learn social skills, manners, good hygiene and healthy eating habits.